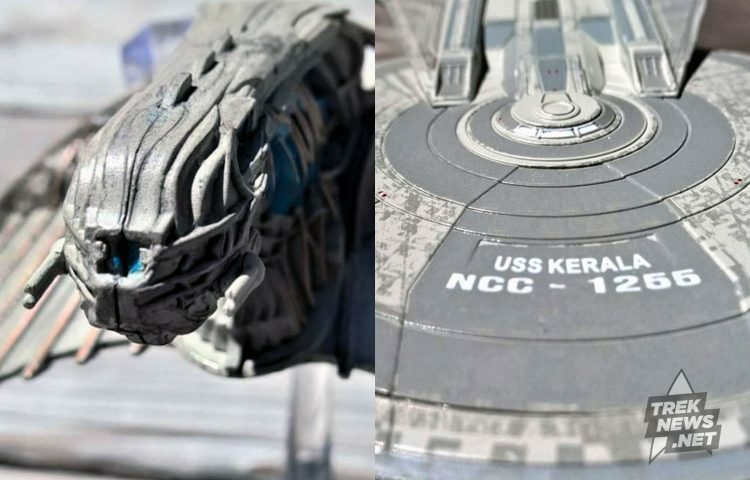 Model maker Eaglemoss expands their Star Trek: Discovery offerings by releasing two new models from that series: the Klingon Bird-of-Prey and the U.S.S. Kerala, the Shepard-class ship we saw in the Battle of the Binary Stars. Both of these are great choices to spotlight in the Discovery line of models, as unlike the Discovery herself and the previously released Shenzhou, we really didn’t get a great look at these other, less prominent ships in the series. An addition to their slight screen time, these ships were, at best, muddy CGI replacements, meant mainly to fill out battle scenes. Try to picture right now the fine details of either of these ships in the show. See what I mean? But luckily, we now can appreciate the time spent designing and modeling these ships thanks to competent models from Eaglemoss. 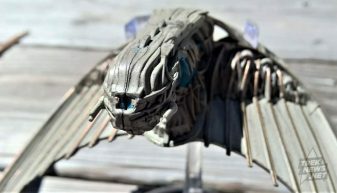 Let’s start with the most striking of the two: the Klingon Bird-of-Prey. 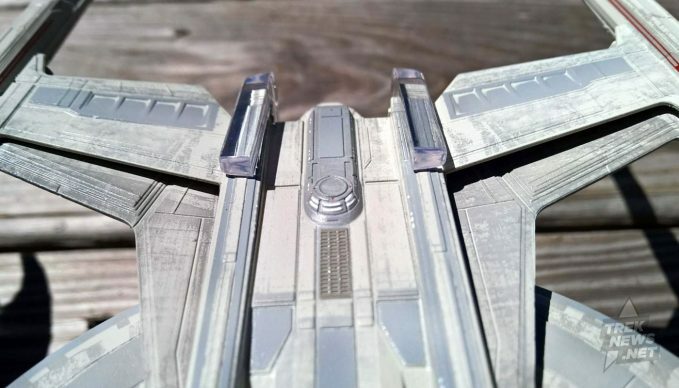 As quoted in Eaglemoss’ magazine that accompanies the model, the ship’s creator, Sam Michlap, wanted to design something that could “stab you in space.” An excellent choice of words, as that’s exactly what this ship’s aesthetic conveys. The sharp downward wings not only end in tips, but the ridges along these wings have their own point. 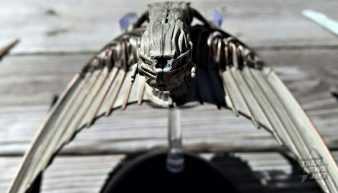 And while the traditional B’Rel-class Bird-of-Prey has thin wings, the Discovery Bird-of-Prey wings are thicker, more muscular, giving more weight to the idea that these fighters are meant to kill. 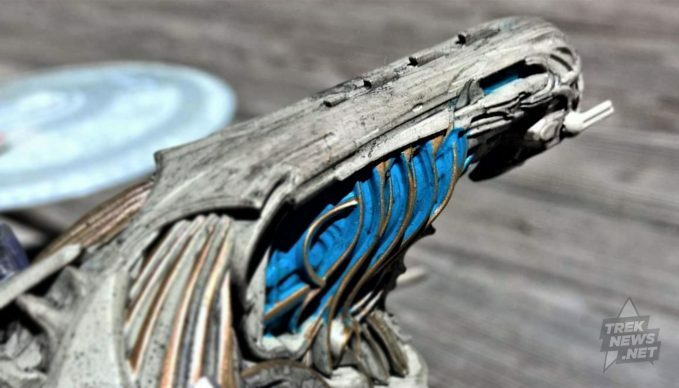 The tubes and details etched into the hull also give the impression of veins coursing along a body, all leading to the head of a predator. 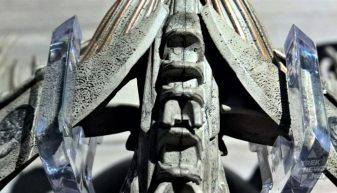 Also leading to the head is a ridge on the back of the ship, which looks strikingly like a spine. 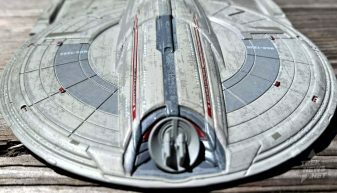 It’s a brilliant design, and fits perfectly within Discovery’s redesigned Klingon aesthetic. But not all of this fighter is foreign. If you’ll notice, there is a small circle at the head of the ship, immediately reminiscent of a classic Bird-of-Prey’s torpedo tube. With the Kerala, we have a compact design that unfortunately leads itself poorly to proper observation while watching the show (perhaps done purposely to minimize CGI post-production?). In any case, we’re looking at a more standard Federation design. 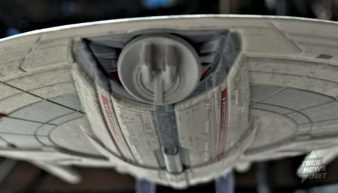 Indeed, the sleek configuration was inspired by the NX-class from Star Trek: Enterprise, wholly appropriate for Discovery’s place in the Prime timeline. But more than that, the Shepard-class is obviously a reuse of early Shenzhou designs, as admitted in the ship’s magazine. Indeed, turn the Kerala upside down, and at first glance you would assume you are holding the Shenzhou. The Kerala even has the same pointy deflector dish as the Shenzhou and slightly angled nacelles (albeit angled in a different direction). This similarity can be seen both as a positive and negative. While it’s nice to maintain continuity in the design of a faction’s ships, more pronounced differentiation would have been appreciated. 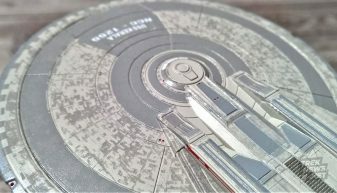 As for the build quality of these new models, they are of the same standard as what we’ve seen from Eaglemoss before; that is to say, very good. 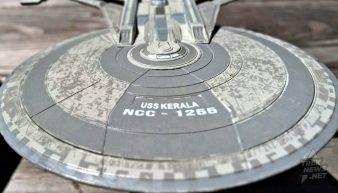 And nicely enough, the Kerala seems to have separated itself from the fairly typical plastic stand unreliability that other Eaglemoss models sometimes have. Perhaps it is due to the flat design of the ship, but for whatever reason, the model is secured quite firmly on its stand. The Bird-of-Prey is fairly sturdy, too, but due to its thicker design, one still needs to be careful when handling the model with the stand. 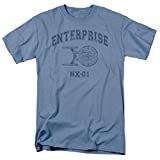 If you’re a fan of Star Trek: Discovery, there’s no reason not to pick up these ships to add to your collection. And in case the four current Discovery models don’t strike your fancy, there are certainly others to look forward to. 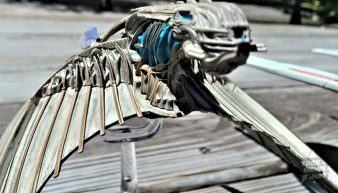 Check out Eaglemoss’ store page to see which models are coming soon, and to check out subscription options.